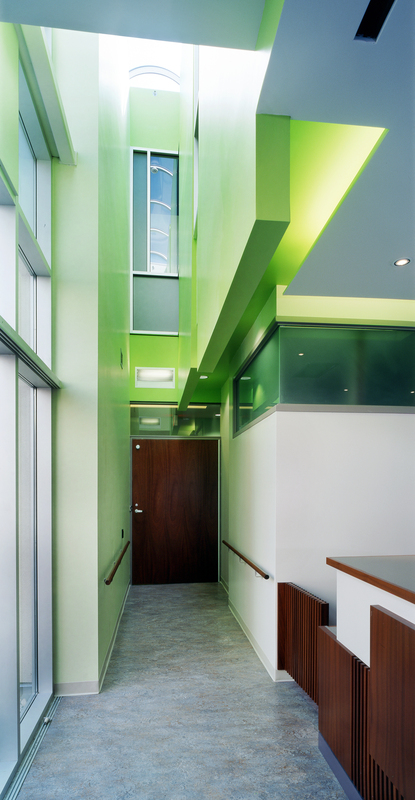 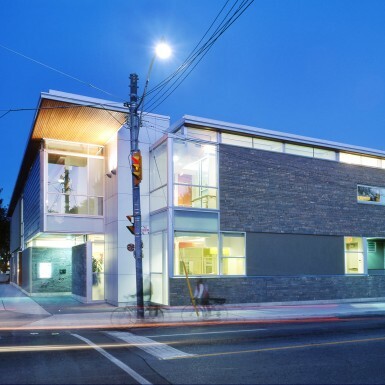 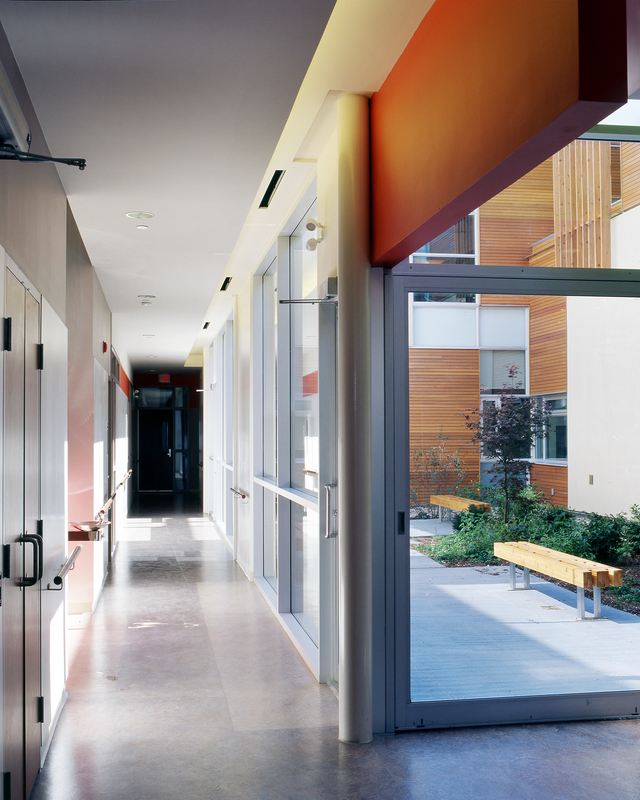 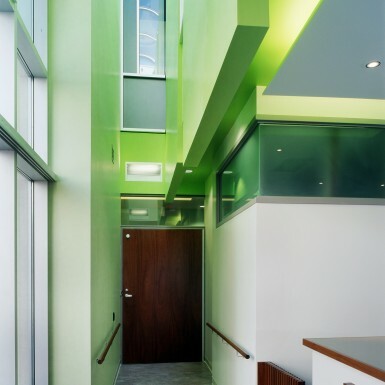 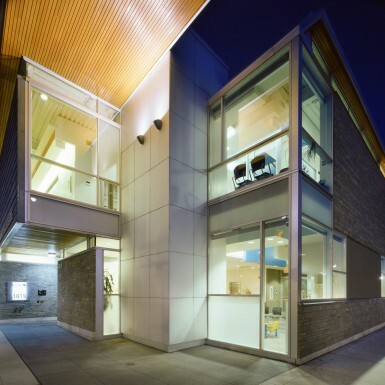 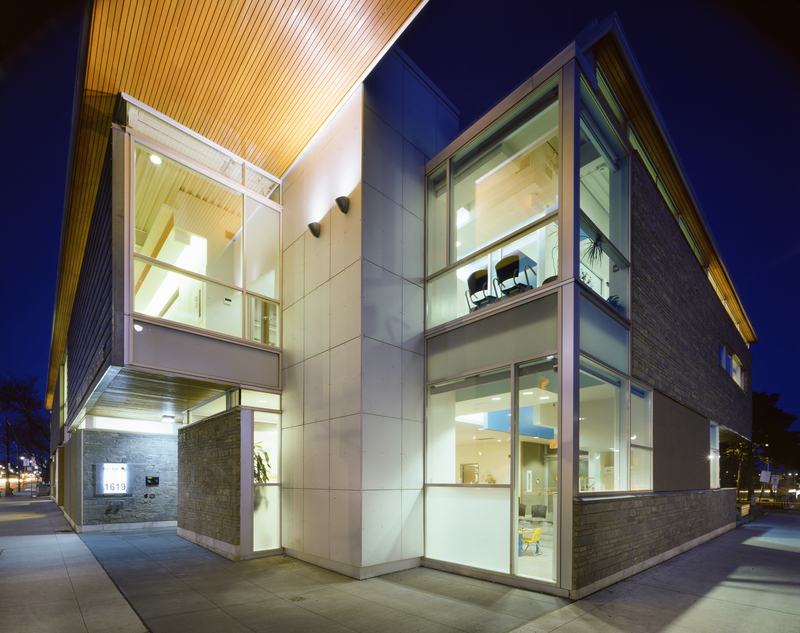 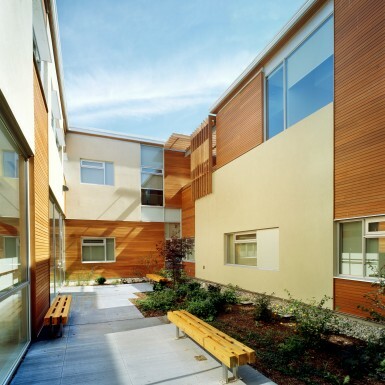 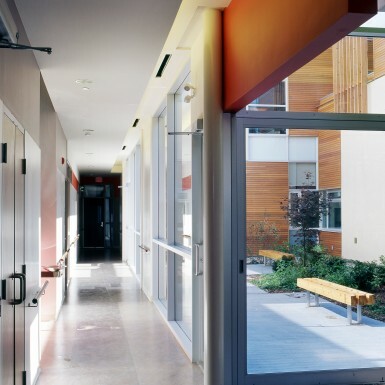 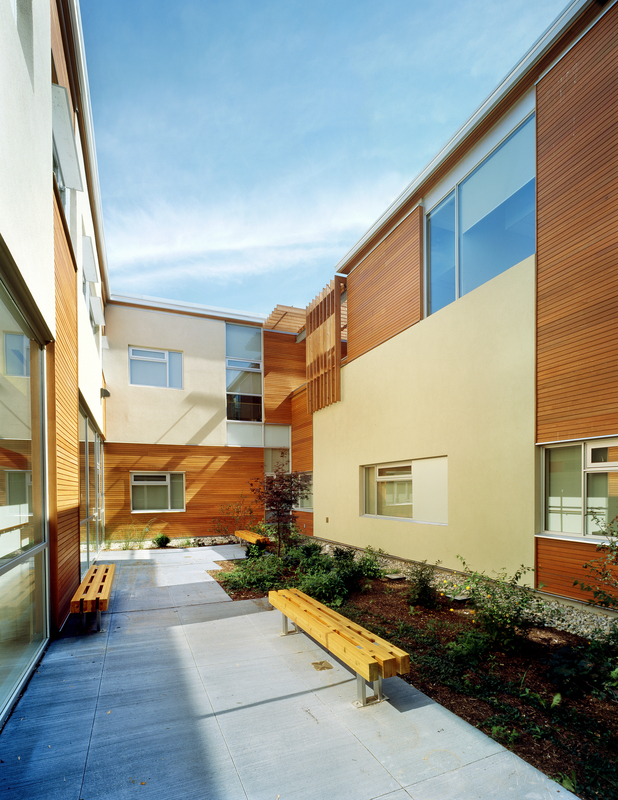 This Community Health Centre in downtown Toronto was funded by the Ministry of Health and Long-Term Care and is designed to meet their healthy building criteria: that is, the promotion of health, education and service to all community members without discrimination and in a location that is welcoming and environmentally responsible. 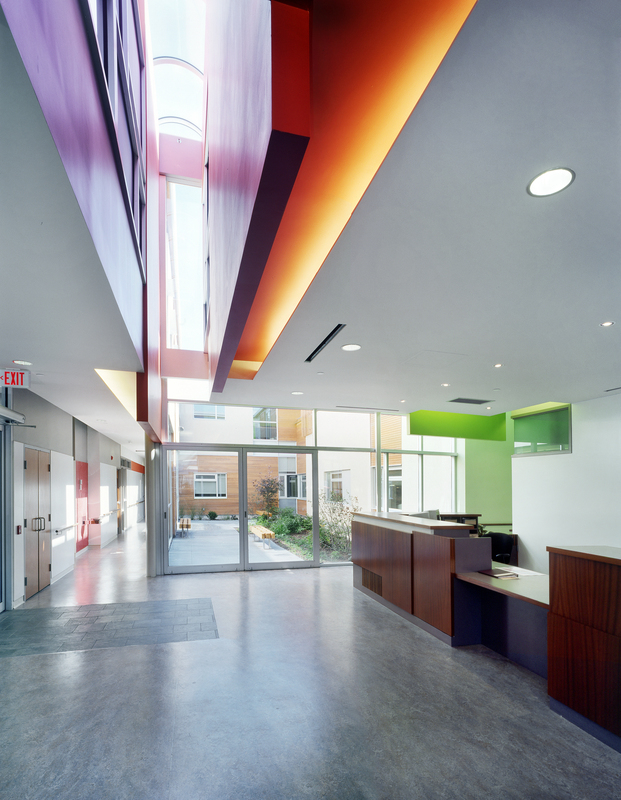 To this end, the facility includes three general program areas: physical health, mental health and community outreach. 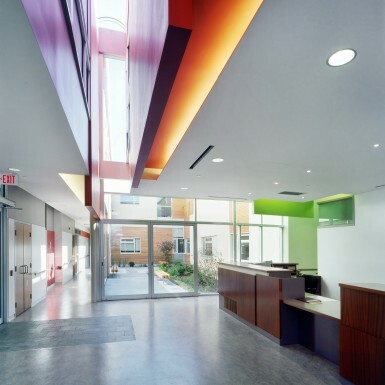 These programs provide local patients with services such as access to physicians, psychological care and both general and nutritional counseling. 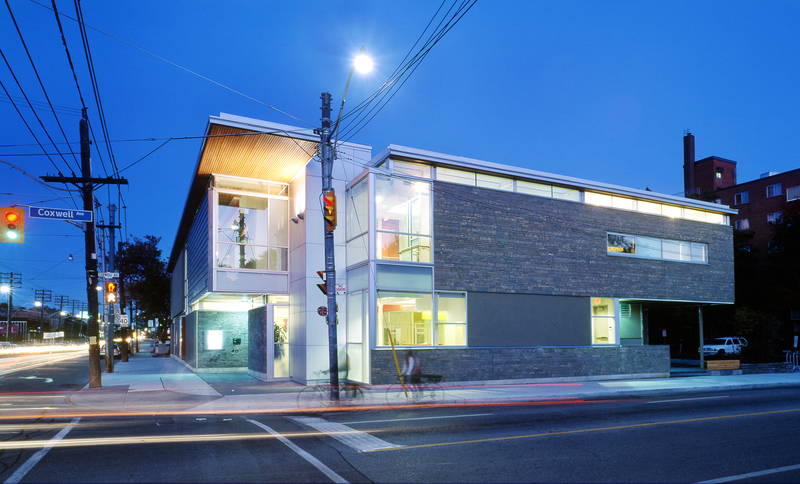 The centre also includes a community kitchen and children’s programs that promote social education and community outreach goals.